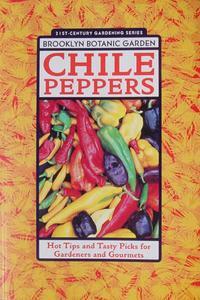 Some of the foremost horticulture and food experts in America have joined forces to produce the first chile pepper book specifically for gardeners. This indispensable guide teaches the history of the chile, the science behind their heat, why people keep coming back for more, and the remedies used to cure the diseases and pests afflicting chile pepper plants. Amateur and experienced gardeners alike will learn to grow many different varieties, indoors and out, and will be able to cook up a fiery feast using their homegrown chiles. The beautiful color photographs make species identification easy, and the list of seed retailers is a handy reference for every gardener.